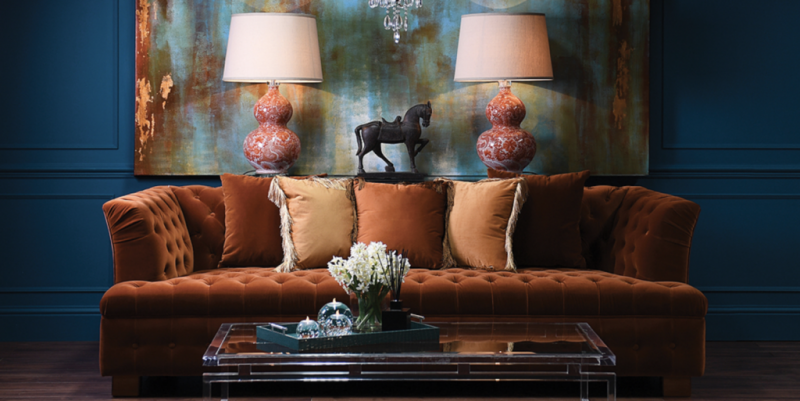 Introducing Coach House, a trade only supplier of quality trend inspiring furniture, lighting and home décor. With unique collections that span from traditional designs right through to contemporary, including furniture, lighting, design-led accessories, artificial florals, Indian antiques and festive products, it’s no wonder why Coach House is one of the industry’s largest and most trusted names. Their recent 2019 collection features an injection of colour and a variety of textures. Their 2018 Autumn Fair saw the release of 5 new furniture ranges, including Mayfair, Wellington, Berkley Blue, Mirage and Toronto – Most of which can be found in their new furniture catalogue which features 1,200 new products! Coach House began with very humble origins, in a small old coach house in Yorkshire selling antiques. Once established they then expanded into the reproduction market out of fluke and good fortune and have evolved ever since. Coach House aims to carry on doing what they do best but endeavouring to do it better! The family-run business is constantly sourcing new and exciting products from all over the globe as well as designing the antiques of the future. It is the extensive breadth of product they offer which makes Coach House both an inspirational company to be a part of and an inspiring company to be a customer of. The Coach House showrooms, which you can visit in Lancashire consist of 40 individually styled rooms, holding over 12,000 product lines. As a customer friendly company, they offer a personal experience for customers, with services that include free weekly deliveries throughout the UK and Ireland. Plus, an optional point of contact with one of their knowledgeable business development executives who travel around most areas of the UK.